A growing number of British residents are choosing to retire in France, Britain’s nearest neighbours who enjoy a slower, more relaxed pace of life within the scenic surrounds of continental Europe. For those making the permanent trip across the Channel for their retirement, the option exists to give consideration to transferring any existing pensions left in the UK into a more tax efficient jurisdiction for the purposes of avoiding currency fluctuations, saving on taxation upon withdrawal and death, as well as flexibility in drawdown options and potentially higher growth on investment. Currently, a pension transfer directly into a QROPS in France itself is no longer a possibility, but QROPS do exist in both Malta and Gibraltar that allow savers the kind of pension freedom and security not available in the UK right now. Another option is to transfer the pension into a SIPP or to leave the pension where it is in the UK. There are potential advantages and disadvantages with all three options, and much of the basis for which route would be the best is dependent upon the unique circumstances associated with each individual case (eg: size of pension pot, number of pensions, age, retirement plans, existing investments, etc.). Were you to transfer your UK pension into a QROPS based in Malta or Gibraltar QROPS, your potential rate of income tax could be just under 7%, if you chose Malta, or 2.5% if Gibraltar is your favoured option. You would then, in addition, pay the French social care tax, if applicable. 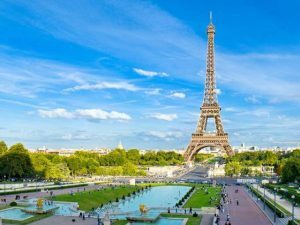 Because of an existing Double Taxation Agreement between the UK and the French, there is no Inheritance Tax payable in France for UK residents, which is a reason for its appeal as a retirement destination. However, due to a new piece of legislation introduced by the conservative government in March 2017, all other QROPS around the world are effectively cancelled out by a 25% taxation placed on all pension funds moved to a location other than the one in which the saver resides. So, while Gibraltar and Malta may provide a great option for some, for others a SIPP might represent more solid ground. For those still keen on a QROPS, care should also be given to the way in which the pension is drawn, particularly in terms of the initial lump sum amount required. A QROPS expert with a background in European transfers will be best positioned to offer up-to-date advice on the best strategy for optimising the advantages of a QROPS, and minimising exposure to tax and risk in terms of the investment element of the pension fund.